LG TV is well known for its excellent video playback and advanced technique, and this LG 32LV2400 HDTV sports a 720p High Definition resolution and it also provides you with a quality 100,000:1 Dynamic Contrast Ratio which provides plenty of color realism and clarity, indulging you in a movie and TV show feast when you are at home, away from work and ease yourself. 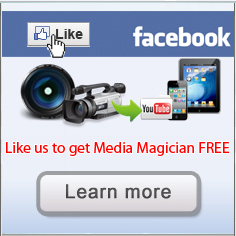 It is a great choice when you want to share your photos, music, or High Definition movies in a way that all of your family members can enjoy from the comfort of your own sofa. LG 32LV2400 HDTV is so amazing. To enjoy your DVD movies on LG 32LV2400 HDTV, you may get your DVD movies ripped to its supported video formats, and MP4 is the best video format for LG 32LV2400 HDTV. And the H.264/AAC Mp4 is perfect. Below is a quick start guide of how to rip DVD movies off to LG 32LV2400 HDTV. 2. Had DVD Ripper software installed on your computer. 1. Add DVD movies to Pavtube DVD Ripper. Click the "DVD Disc" icon on the interface to navigate to the videos you want to convert. You can also add ISO file, IFO file or DVD folder. 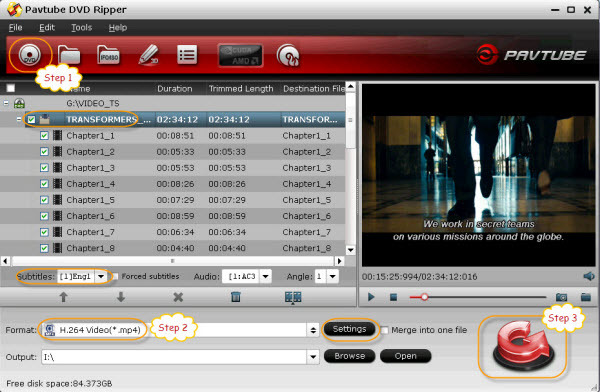 Tip 1: You can click on the dropdown list of "Subtitles" to select subtitles of desired language so that you can view DVD films on LG 32LV2400 HDTV with proper subtitles, same steps you can do with Audio track selection. Make sure you select the main movie before setting subtitles. 2. Select output preset for playback on LG 32LV2400 HDTV. You can get optimized videos for LG 32LV2400 HDTV under Format> Common Video> H.264 Video(*.mp4). Tip 2: This profile is not designed for LG 32LV2400 HDTV playback, so it’s necessary to adjust profile settings and get best video playback for LG 32LV2400 HDTV. LG 32LV2400 HDTV’s display resolution officially is 1366 x 768p, and to adjust Size in profile settings to 1280*720 would be a better choice. 3. 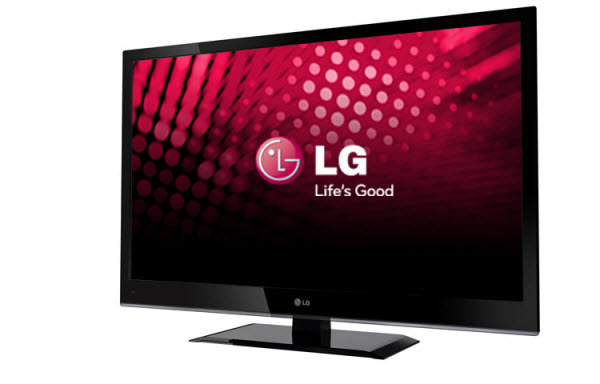 Set up profile settings and Start DVD to LG 32LV2400 HDTV Conversion. Click "Convert" to let the software do the DVD to LG 32LV2400 HDTV MP4 conversion. After the ripping, you can click "Open" to locate the converted MP4 video files and just transfer them to your LG 32LV2400 HDTV and enjoy your movies. About streaming DVD movies to Nook HD, a separate conversion is necessary due to different display resolution and playback requirements for different devices. While we have a brief instruction already of how to convert and transfer DVD movies to play on Nook HD, you may also refer to Step-by-step transferring videos and music to Nook HD Tablet. How to Import DVD Movie Clips to VideoPad Editor? How to Play a DVD Disc on a Blu-ray Player?